Home › Controversial › Bullied Into Silence In The Public Square. Legislated Into Silence In Our Churches, Christian Schools and Charites: You Need To Know What Bill Shorten’s Plans Are For Religious Freedom In Australia. This blog is potentially one of the most important blogs I have ever written. I encourage you to read it and if you agree and too are concerned, share it around so Australians know what the Shorten Government would do to religious freedoms in our nation. 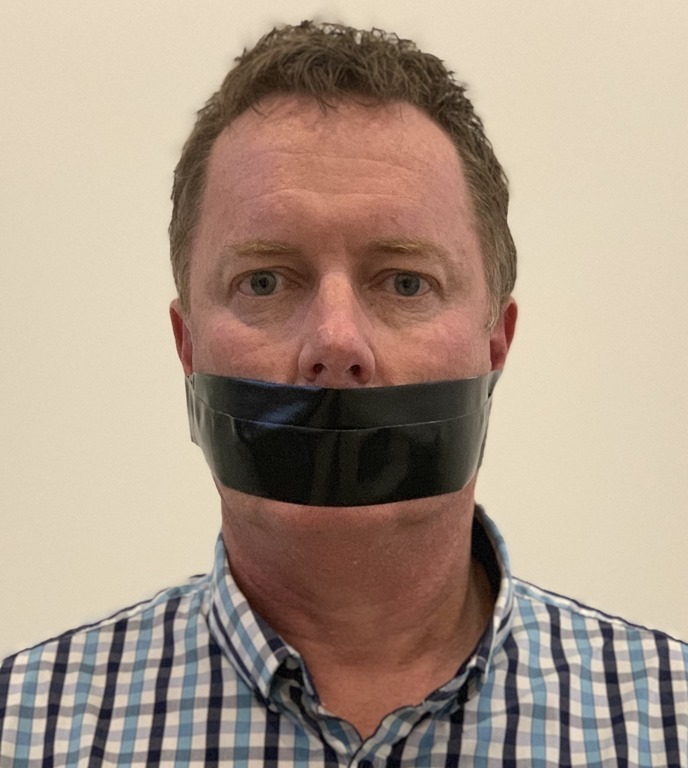 I have been deeply concerned for some time as an Australian Christian leader, of the eroding freedoms we have to express an opinion in this nation:- Particularly an opinion this is biblically based and incongruent with the apparent acceptable opinion of society that is strongly promoted by the leftist media and left side of politics. I have written multiple blogs on the topic as I am concerned that the erosion of these freedoms we see in the public square, we ultimately lead to an erosion of these freedoms in the church. Bill Shorten has now confirmed that it is the intention of his government, should he win the May 18th Election, to severely curtail the religious freedoms of this nation. In a letter that the Prime Minister, Scott Morrison wrote to The Australia Prayer Network (full transcript following), Mr Morrison spoke of changes to the Anti Discrimination legislation and Mr Shorten’s plans to extend these changes across churches, mosques, synagogues, monasteries, convents, prayer groups, faith study groups, theological colleges, and all others. When the Government of the day can dictate to a Preacher what comes from his platform – Churches that preach the full gospel of Jesus Christ will be all sorts of trouble. When are we as Christians going to realise we are being closed down: Bullied into silence in the public square. Legislated into silence in our Churches, Christian Schools and Charites? We need to understand this legislation involves even things like Homegroups. The Government wants to police and censor what is being discussed at your church’s bible study groups. If Bill Shorten becomes Prime Minister and these changes take place, the churchscape as we know it, will change. And this won’t be a positive change. Ten years ago I said from the Platform of Nowra City Church, there is a day coming in Australia in the not too distant future, where I could be sent to prison for declaring Jesus is the way the truth and life and no one comes to the Father but through Him. Under a Shorten Government…..that day becomes a whole lot closer. Its time we spoke up….whilst we still can. Write to your local MP. Write to Bill Shorten. Write to Scott Morrison. And vote intelligently on May 18th. Copyright 0 2018 Australian Prayer Network. All rights reserved. Shorten is on dangerous grounds!! I agree. The following is about a book I came across recently. It’s on the same theme as your post. David Horowitz, who is about 80 years old, was a ‘red diaper baby’. That is, his parents were card-carrying communists and he was reared a communist. He was a leader of the New Left in the USA in the 60s and 70s and very involved with the Black Panthers. He got a friend of his to be book-keeper of a school he set up with the Black Panthers. She disappeared. Later it turned out she had been murdered by the Black Panthers. He was devastated. He realised he had been involved in evil. None of his ‘friends’ supported him. They sided with the Black Panthers. As a communist he had been trying to destroy America. After this, he decided he needed to learn about the America he had been trying to destroy. Now many people consider him to be the most effective opponent of the Left. His latest book is ‘Dark Agenda: The War to Destroy Christian America’. A Jew and famed author is warning Christians are in danger. He says they are targeted by secular leftists. They want to destroy Christianity in America. Persecution against Christians is already happening. It can get far worse. David Horowitz exposes the truth in his new bestseller . . .
Christianity, once the backbone of America’s civilized “Judeo-Christian” society, is under cruel and relentless attack. Now a famous author and leading Jewish-American is speaking out. David Horowitz warns that left-wing activists, working in tandem with Democrats and radicals, are attempting to tear down our religious freedoms. They are waging a war against Christians in the courts and the media. Their goal: to destroy Christianity in America. Dark Agenda: The War to Destroy Christian America is David Horowitz’s extraordinary look into the left’s calculated efforts to create a godless, heathen American society. is a noted conservative commentator and New York Times bestselling author of Big Agenda: President Trump’s Plan to Save America. He is the founder and CEO of the David Horowitz Freedom Center in Los Angeles. Horowitz says these efforts must be stopped. He argues that even Jews — and anyone who believes in God — will be in danger if Christians are not protected. Already some extreme fringe groups are resorting to horrific violence to kill innocent, God-fearing worshippers, sometimes in their own churches. Horowitz is a New York Times bestselling author and leading conservative thinker. You have seen him on Fox News, Newsmax, CNN, and all the major networks. His Dark Agenda shows how liberals and their radical allies envision a new millennium in which Christianity is banished. Horowitz argues that Judeo-Christian values are at the very root of America’s democracy and success. Kill off such values and all of our freedoms could perish. Everybody could be in danger. In Dark Agenda, Horowitz tells for the very first time of his secret meeting with acclaimed social critic and notorious atheist Christopher Hitchens, author of the religion-bashing God Is Not Great, and the surprising things Hitchens revealed to him. Horowitz also reveals that the battle over abortion is much more than the right of “choice,” but about an agenda to stop Christians from advocating for their most basic rights. Today, Horowitz says Donald Trump’s “genuine love for his country” has galvanized Christians to fight the secular war waged against them — as the president has become a lightning rod for the radical left. Dark Agenda is making waves . . .
And there is much, much more in David Horowitz’s powerful new book. Dark Agenda brings vital insights into the war against Christianity and names the global radicals, leftist Democrats, and fat cats of Hollywood and Wall Street responsible for it. Finally, a clear and sensible American voice — one that is Jewish — stands up to the twisted rantings of the secular left. But he goes beyond what we know in Dark Agenda: The War to Destroy Christian America. David Horowitz makes an impassioned plea warning of the grave danger to our freedoms and our very lives if we let the secularists win and Christianity is destroyed. It can happen if we don’t fight them, he says. What is right and wrong behaviour . Michelle, I totally agree with you. David Horowitz urges us to fight back.